I believe I saw the Lenovo ThinkPad X1 Tablet when I was walking around the HIMSS conference earlier this year. The X1 Tablet is a bit of a confusing name because Lenovo has a series of ThinkPad products using the "X1" brand. You have the X1 Carbon, the X1 Yoga, and now the X1 Tablet. 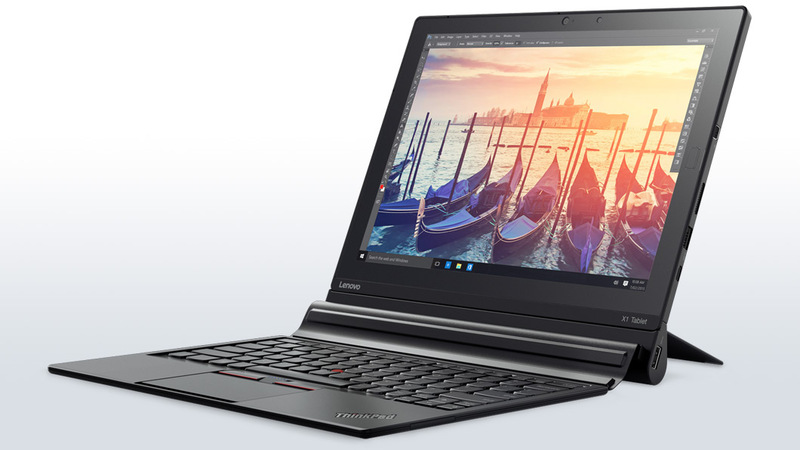 The X1 Yoga can be used as a tablet if you fold the keyboard around the device. Similar to the Microsoft Surface Pro, the X1 Tablet is a 12" slate running Windows 10 and it attaches to an external keyboard. Unlike the Surface Pro, the X1 Tablet uses a different type of built-in kickstand that folds down instead of folding out. One of the unique features found on the X1 Tablet is its ability to attach to several different types of modules. These modules provide additional battery life, a built-in projector, 3D imaging camera, and more. I like the idea of a modular design for a mobile device because it allows you to easily customize the device with the features and options that you need, when you need them. Is it time to say goodbye to the ThinkPad Helix and the ThinkPad 10? I think the ThinkPad X1 Tablet is here to replace them.